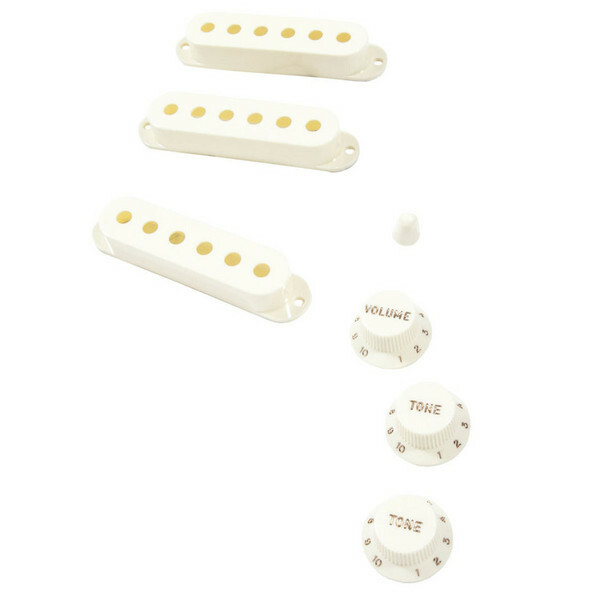 The Fender Pure Vintage 60s Stratocaster Accessory Kit includes vintage white tone and volume knobs, pickup covers, tremolo arm tip and switch tip. They are a great way to cosmetically customize your Fender Stratocaster, created with period-correct personality in mind to the same specifications as early Fender parts. Ideal for modern and vintage Stratocaster guitars, whether you're personalizing, modifying or restoring, inject your classic Fender instrument with vintage vibe.